How do you like my angel tiara. Because I'm working with salvaged materials, and items from my stash, no two tiaras will be the same. I used an angel as the focus of this tiara. I have a few more angels to go. Cherub plaques are keeping me busy as well. 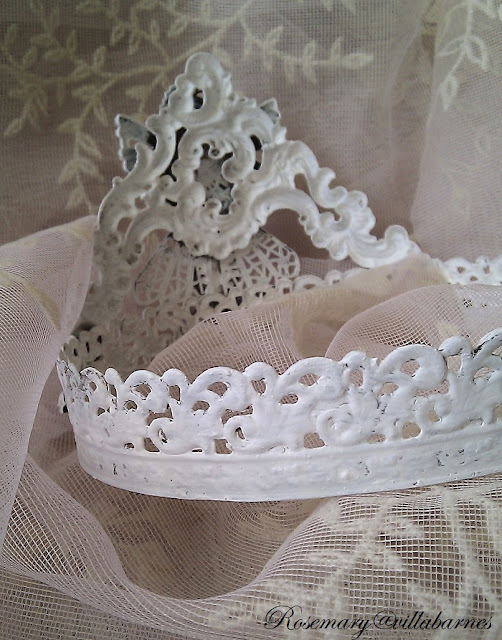 I love this tiara too. You must have an incredible stash of treasures. I love all of the tiara's you have created, but this one is definitely my favorite! Lovely! Makes me think of Downton Abbey. 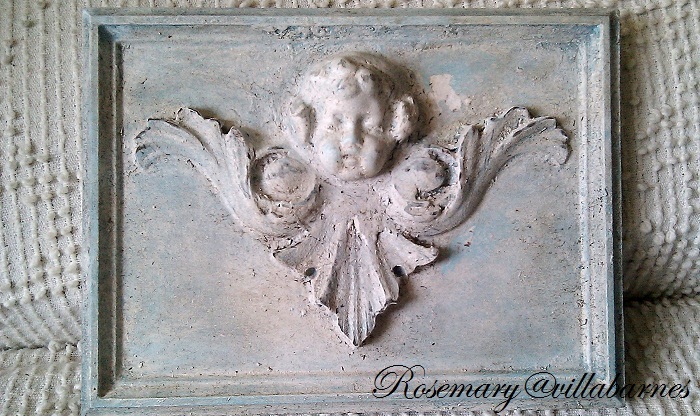 The cherub plaques are wonderful - such lovely patina. Of course, I love it! Your tiaras are beautiful, Rosemary. 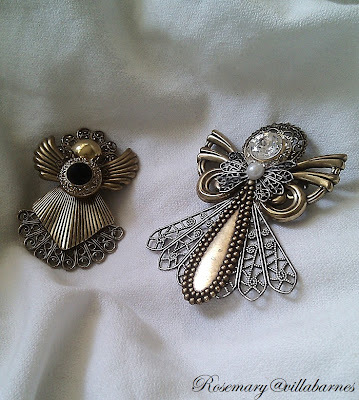 Will you be selling these on your Etsy shop? 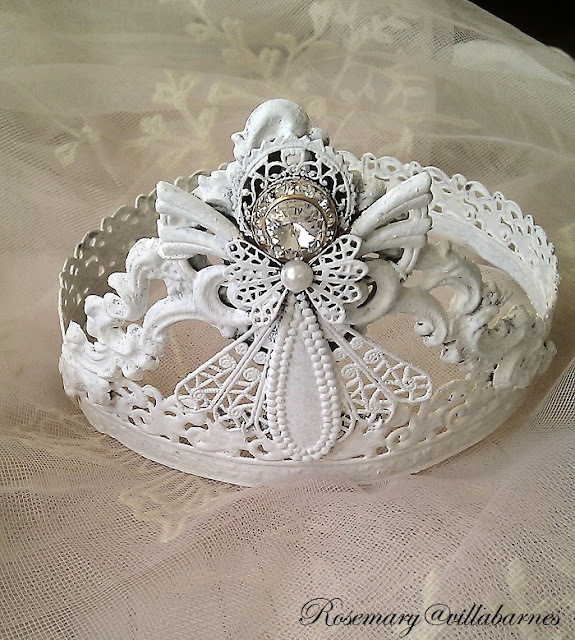 I love these beautiful tiaras you have been making!This one is my favorite! Love that sweet angel! 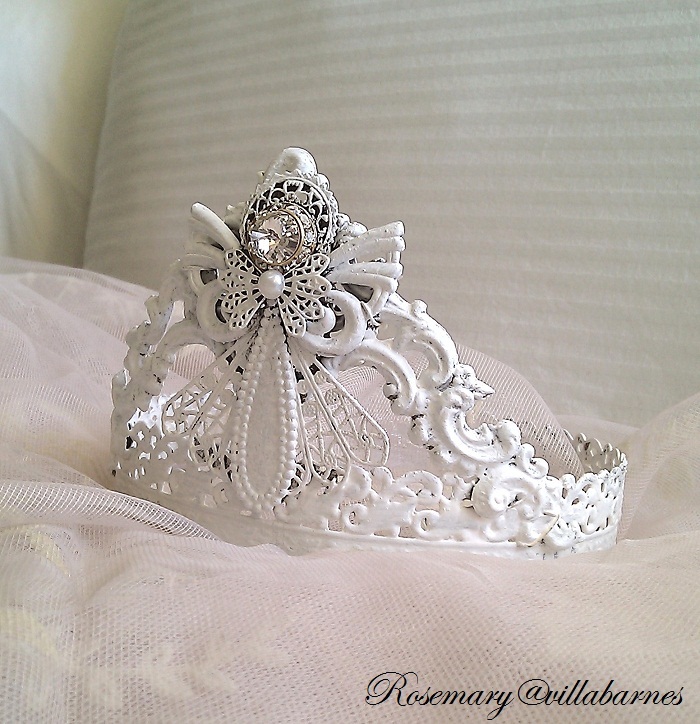 Another great tiara, Rosemary! You've definitely hit on something there with them. I'm sure they will be a show seller too, whenever your next one might be. I just love your tiaras. Just love!!!! This is my favorite Tiara yet...has it sold already? 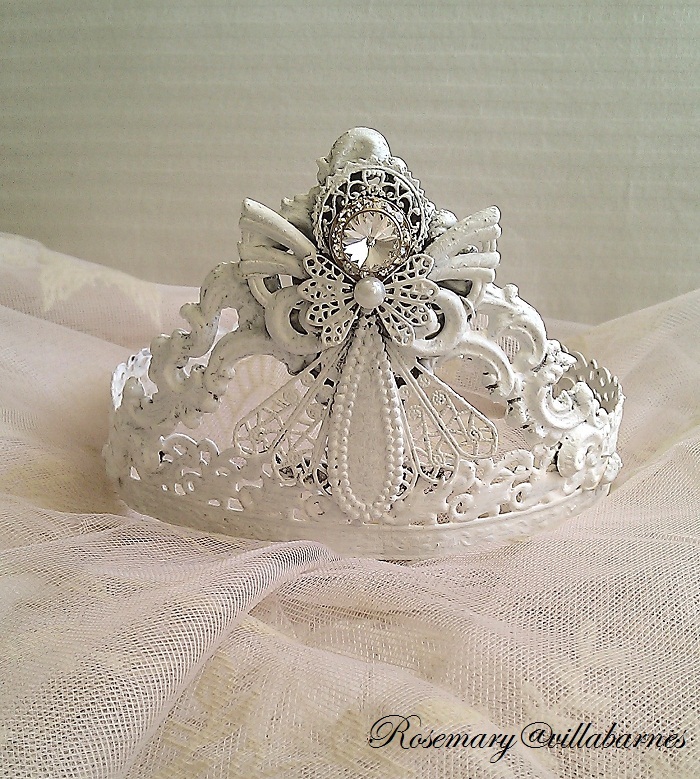 I ADORE this tiara!!! You have more talent in one cell of the left pinky fingernail on your left pinky than some of us have in our entire body. You never cease to raise the bar. Beautiful tiaras Rosemary, I love your cherub plaque too! I like your angel tiaras ... so elegant! Definitely have your touch! Love the cherub plaques too... you've been busy! 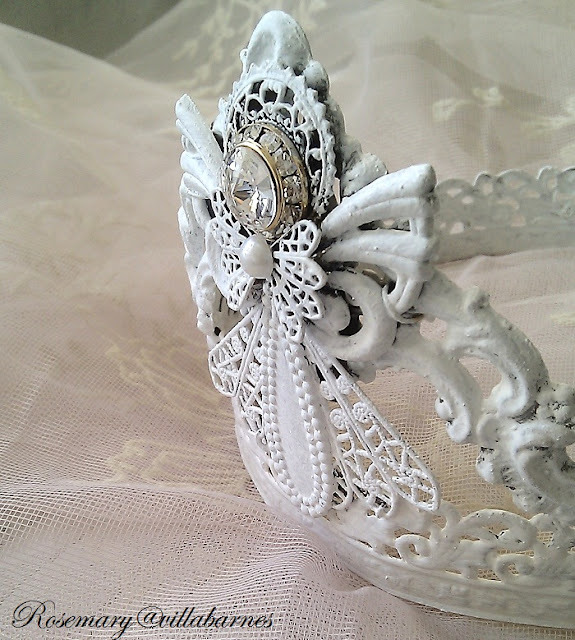 Another beautiful tiara! I love the angel on it! 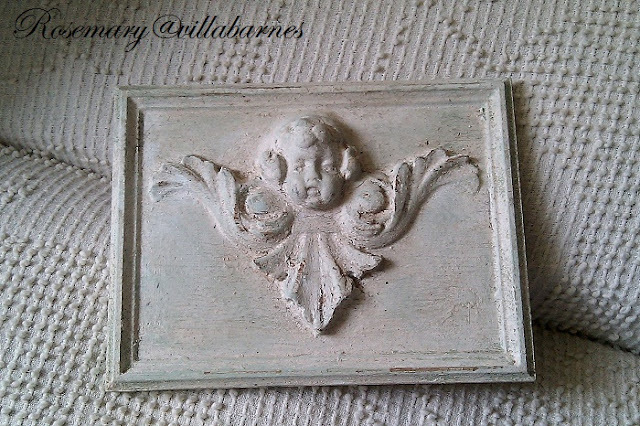 Your cherub plaques always make me smile. Love these tiaras and this one is just perfect! I am in LOVE with these! Where are you selling them? My boys think I should wear a tiara - lol! The tiara is really pretty but I'm really lovin' the cherub plaque! 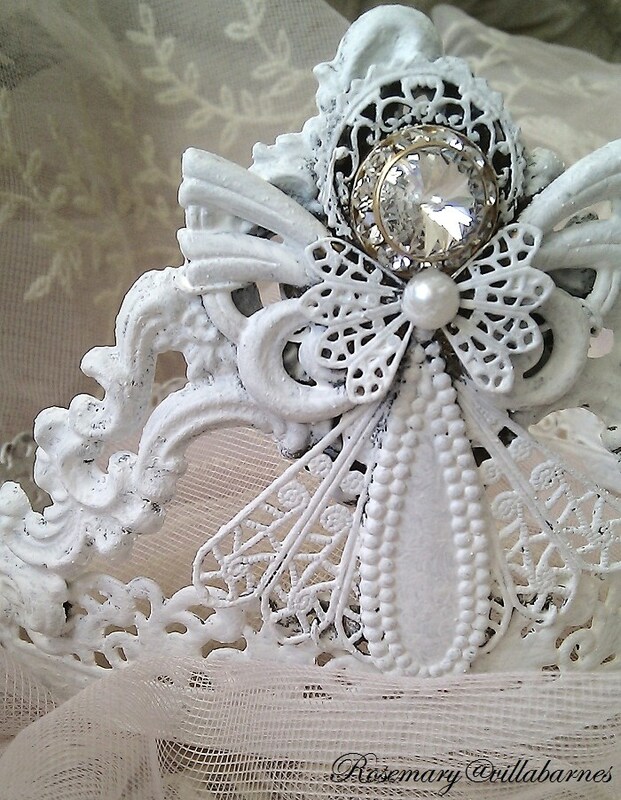 I love the angel tiara. Your work is always so beautiful. 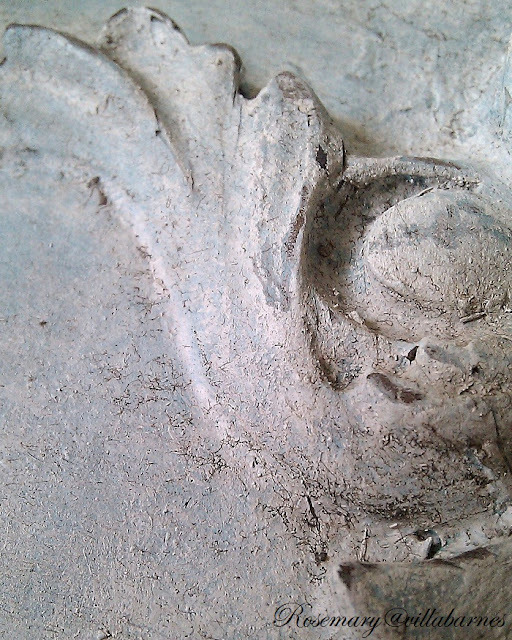 The cherub plaque is so sweet too.